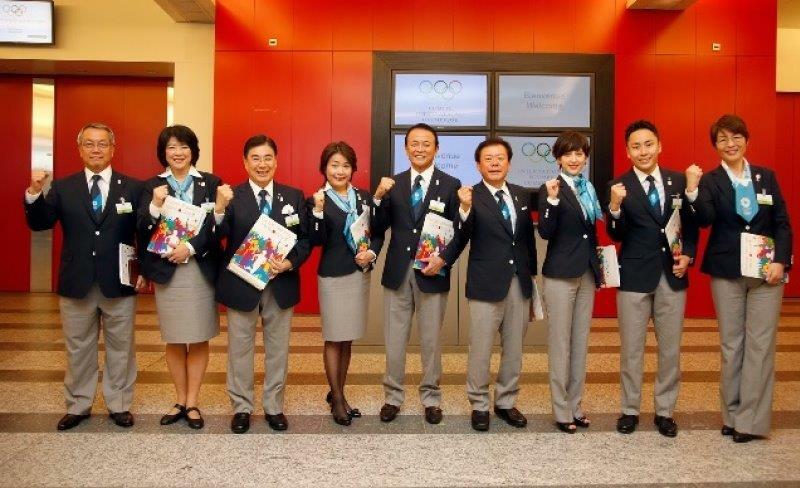 Deputy Prime Minister and Montreal 1976 Games Olympian Taro Aso launched a new Japanese government initiative called ‘Sport for Tomorrow’ during Tokyo 2020’s presentation to the IOC. The ‘Sport for Tomorrow’ program includes overseas projects designed to promote the Olympic Movement around the globe, the creation of an international sports academy based in Japan, and additional support for WADA’s global anti-doping efforts. The Japanese Sport For Tomorrow program to promote baseball and other sporting disciplines in 100 countries as part of preparations for the 2020 Tokyo Summer Olympic Games was launched in Dar es Salaam, yesterday with six teams from different regions competing in the National Baseball Championship. Speaking during the launching, Japanese Ambassador Masaki Okada said he believes that Tanzania will be among African countries that will take part in the Tokyo Olympic Games, focused on discipline and determination among players. He said since Japan will host the 2020 Olympic Games, his country has decided to support sports in respective countries as support for the worldwide preparations for the Games. Okada said baseball is one of the most Japanese favourite sporting events and through the global program his country intends to promote the sport in 100 countries and to make sure that it is re-included in the Olympics, trusting that there is ample time for countries to prepare. Baseball was among competitive sporting events in the last Olympic Games held in Beijing, but was excluded from the list of recognized fields of sports by the International Olympic Committee (IOC). Takashiro Waku, the director of the Japan Sports Council said that baseball, like any other sporting discipline, has the power to promote peace and change the society to foster good behavior among the youth. He also said that the program, engineered by the Japanese government through the Japan Sports Council will cement relations between his country and Tanzania. Speaking on behalf of the Deputy Minister of Information, Youth, Culture and Sports, Juma Nkamia, who was to be the chief guest, the Director of Sports, Leonard Thadeo hailed the Japanese move to promote sports through the program and urged baseball officials in the country to maintain the good relationship for the development of the sport. “You have to keep the ball rolling in promoting the sport by making sure that through the program, Tanzania manages to take part in international competitions,” said Thadeo. While welcoming the chief guest, the chairman of the Tanzania Baseball/Softball Association, Dr Ahmed Makata thanked the Japanese Sports Council for continued support. He said after the completion of the two-day event at Azania Secondary School ground, his association will select the national team that will represent Tanzania in the Africa Under-17 Championship to be held in Meru, Kenya from December 15 to 20. Teams taking part in the national championship are secondary schools of Kilimanjaro (Sanya Juu), Ruvuma’s Londoni, Kibasila of Temeke, St. Mary’s of Mwanza, hosts Azania and Zanzibar’s Mwanakwerekwe, who are taking part as guest players.